inches wide, 10 inches high. Includes nylon cord for use as rein. for rough play . . Bright yellow barrel is lots of fun. Climb inside, roll around. won't mar furniture or floors. or outdoors. 18:d8x24 inches high. 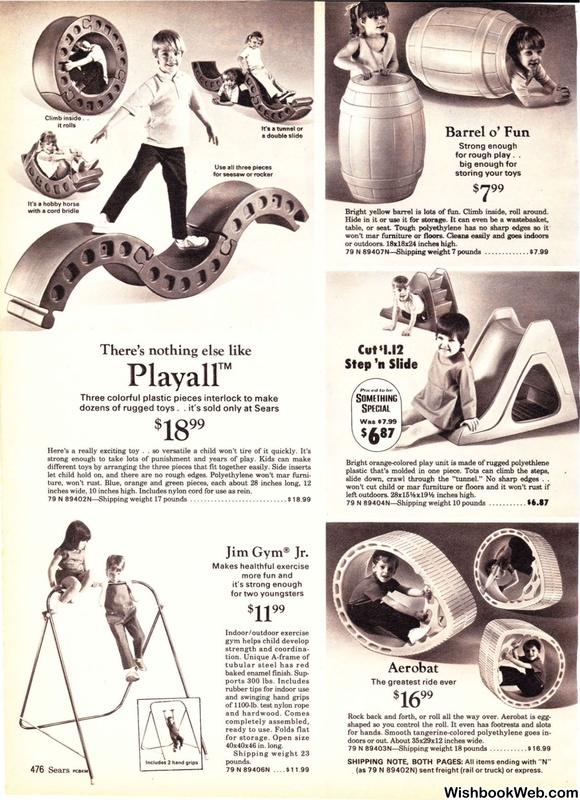 slide down, crawl through the "tunnel." No sharp edges ..
left outdoors. 28x15'kx19'h inches high. 79 N89404N-Shipping weight 10 pounds . . . ..... . ..
doors or out. About 35x29x12 inches wide. (as 79 N 89402N) sent freight (rail or truck) or express.